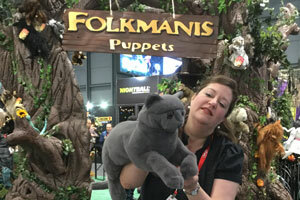 New York Toy Fair 2019 doesn't disappoint! 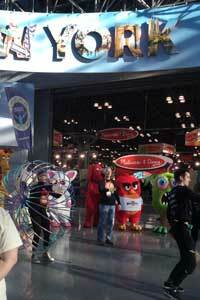 We can’t wait to show you what Hobby and Toy Central found at the New York Toy Fair last month! So many different vendors and so much variety of items to choose from. We knew we were in for something special when the show opened with circus performers. 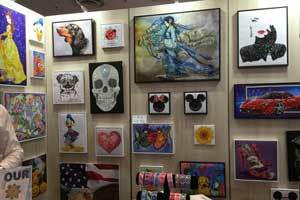 After seeing many of our suppliers we decided to show you some of the fun new items we found. 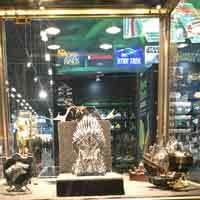 One of the highlights of new releases was Metal Earth’s license for Game of Thrones. Ravensburger has added Villains to their wonderful line of Disney puzzles. They have also added a brand new line of Mystery puzzles. We placed a very large Ravensburger order. 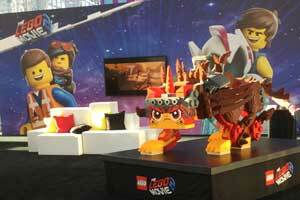 Stay tuned for the release dates for new Lego - you won’t be disappointed! Here was one of their amazing Lego statues from Lego Movie 2. 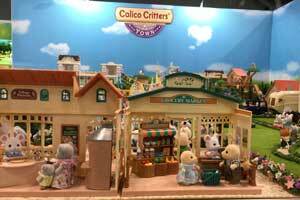 When we saw the Calico Critters display all set up, we had to take lots of pictures. It is just adorable when you see it all together. It would be a child’s dream to play with all those critters. Here is just a peak at one of the scenes. Wow! The new releases from Diamond Dotz are truly beautiful. We have some of them in the store already, but there are many more on the way. We are constantly delighted by Folkmanis Puppet releases and they have outdone themselves this year with a full-body-sized puppet of Jack Skellington and Zero from Nightmare before Christmas. It is stunning! We placed so many orders, we can’t share them all. They have already begun to arrive. Check them out at one of our four locations!